How to Get Rid of Female Facial Hair? Puffy eyes not only make us look bad, but they also make us look older and tired. It is the main drawback of puffy eyes that they give a tired look. There are various reasons that can cause puffy eyes or eye bags. No matter what the reason behind puffy eyes or eye bags is, we can get rid of these conditions with the help of a suitable treatment. Heredity: The puffy eyes condition often runs in families. If it is in your family, do not worry! There are many cures to solve this problem. Salty Foods: The use of salty food is believed to be a major cause. 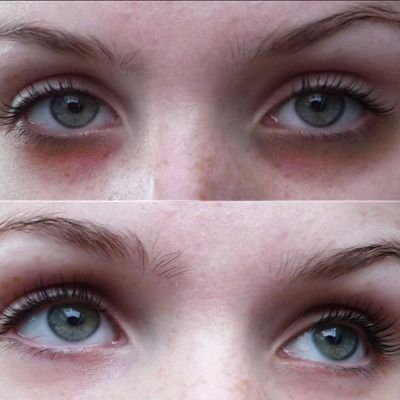 Sun Damage: Due to extensive sun exposure, eye bags or puffiness can appear. Lack of Sleep: The lack of sleep also causes eye bags or puffy eyes. Fluid Retention: Changes in the skin due to changes in weather is a major factor. Allergies or Dermatitis: Allergies or dermatitis can be a cause if your puffiness is accompanied by redness and itching. The aging process cannot be stopped, but we can make our skin and eyelid area look younger than our real age. Following are some famous advanced treatments that can serve the purpose. If you are looking for treatment for the puffy eyes, you should contact Laser Skin Care Clinic. We offer cutting-edge puffy eyes treatments to solve puffy eyes problem. If you are interested, feel free to sign up for a free consultation with one of our experts. You Don't want to Miss Our Offer on Dark Circles around the eye . Fill in The Form To Avail Our Special Offer For You!